When you have a four-legged companion during your stay in Northwest Indiana, you&apos;ll want to make sure he has enough exercise. Gabis Arboretum is the perfect place to let your dog stretch his legs. Hike through four miles of trails or enjoy the quiet gardens, woodlands, prairies and wetlands. Look for native and hybrid plants, flowers and trees during your visit and view Gabis&apos;s variety of formal gardens. Cruising around or near Michigan City? Wander the trails with your pet on a leash at Friendship Botanic Gardens. The wooded trails offer shaded paths that are perfect for exploring with your dog. There are a number of formal gardens throughout the park including the Horizon Bank Labyrinth Garden. Stop at Burn ‘Em Brewing while you’re in the area and enjoy a beer on the patio, which is pet-friendly. If your dog likes to swim and run, plan an afternoon at the Indiana Dunes National Park! The cool waters of Lake Michigan offer the best "doggy pool" around. Hiking through the Dunes and even camping with your pet can be a fun experience. Just don&apos;t forget to keep your pet leashed and clean up any waste left behind. There are some restrictions for pets at the National Park. Details can be found here. Dogwood Run at Lemon Lake County Park is a leash-free dog area, perfect for active dogs who like to run. For those that like to take it slow, there are paved and primitive trails, playgrounds and picnicking areas. The park is open from 7:00 a.m. to sunset year-round. Sleeping under the stars with Fido. 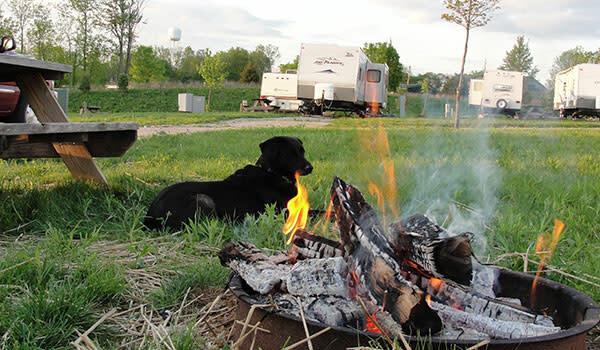 Caboose Lake Campground in Remington is a pet-friendly campground for RV travelers. Summer is bustling with special activities and the 20-acre lake is stocked with fish and a beach for swimming. Bring your pup along for a fun family experience. No pets in the cabin or caboose rental. Make your reservation today. Spend some quiet time with Fido exploring the natural wonders of the Efroymson Restoration at Kankakee Sands. Leashed pets are welcome to walk the trails and explore the landscapes filled with wildflowers and plants. There are more than 7,000 acres to enjoy, so finding a quiet spot to yourself is easy. 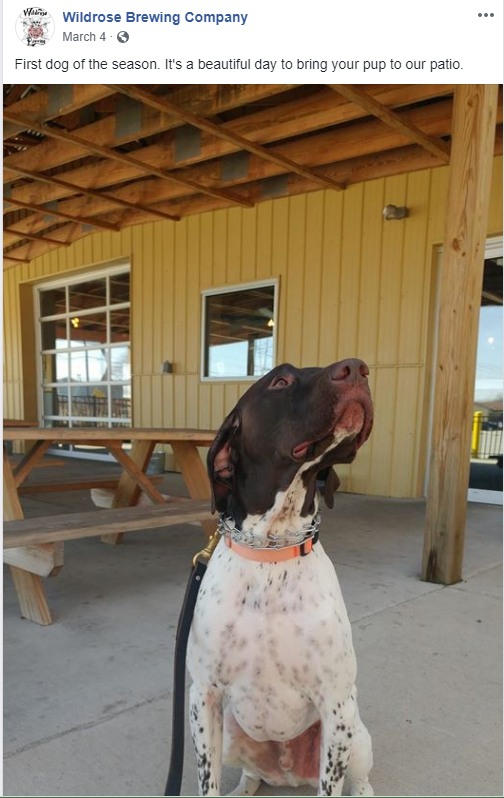 Fair Oaks Farms is a dog-friendly campus and now offers your furry-friends Central Bark, their very own dog park where they can enjoy additional exercise during your visit to grab an ice-cream cone or a bite to eat. The Farmhouse at Fair Oaks offers a farm to table experience and allows pets on their outdoor patio. Feeling hungry? DOC&apos;s Smokehouse and Craft Bar offers mouthwatering BBQ or a game of "bags" on their outdoor patio area. Pets are allowed outside (patio) only. Or grab a cider at Aftermath Cidery in downtown Valparaiso with your dog on the patio! We also have a number of pet-friendly hotels in the South Shore. Find the list here. Please remember to keep your pet on a leash when taking him to any of the attractions in the South Shore. Call ahead for additional information and restrictions.